Although the majority of financial planning applies to everybody, there are some specific considerations that women should keep in mind. Read on to learn more about some of these key tips. Maximize Your Social Security Benefits. The age in which you take social security benefits can have a big impact on the amount you receive and how this supports your retirement. Make sure you speak with your financial advisor and potentially your estate planning attorney to talk more about how government programs like social security or Medicaid and Medicare can assist you as you approach retirement. Use Your Estate Plan. You never know what to expect in life and you should never leave your circumstances to chance. Make sure your estate plan considers your selection of guardians for any minor children and where your money will go. Monitor Your Risks. Speaking with your financial advisor can tell you more about whether your investments are lined up with your goals. Your decisions should be based on facts as well as education as opposed to fears and concerns about short term market fluctuation. Use Insurance. Insurance can help to mitigate many of the risks that women face today. Disability insurance and life insurance should always be used to help protect you against a worst case scenario. 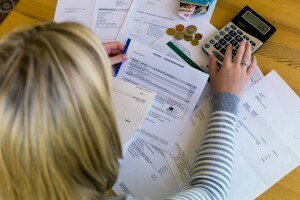 Following these tips can help women stay on top of their financial management. Being knowledgeable about your own estate planning is critical. If you have questions about how to get started, contact a New Jersey estate planning firm today.